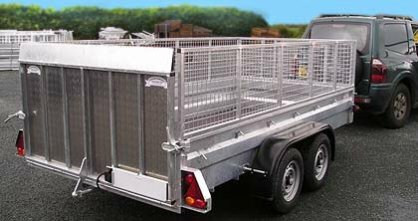 Choose from a vast array of general purpose trailer models from Graham Edwards trailers for all needs and budgets. Whether you need a small compact sturdy item for domestic use or a much bigger and stronger unit for commercial or local authority purposes we can fulfil your requirements. Toller Trailers are the south wests leading distributor and agent for Graham Edwards trailers and we always carry a good range in stock. Remember that our basic trailer is made to a high specification and we offer many extras. If, however, you have special requirements or need a trailer size not shown here, please give us a ring - we may well be able to supply one of our custom general purpose trailers to your specifications.